I bought a box of 40 strips for only Php 195. Actually, I bought it for my mother-in-law who isn't too happy of pricking her finger everyday for a blood glucose test. 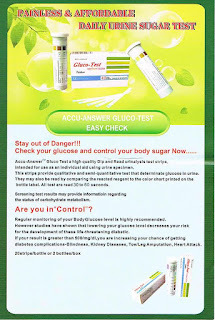 She has already used it and she told me that the results showed her blood sugar is within the normal range. I still haven't tried using it but I'm planning to do so after my menses. I'm thinking of having a blood glucose test simultaneous with using these urine glucose test strips. Since I haven't made a cross-reference yet, I'm still not convinced of its accuracy. This is the reason why I hid the contact details of the supplier. I'll share and promote them once I see favorable results. How about you? 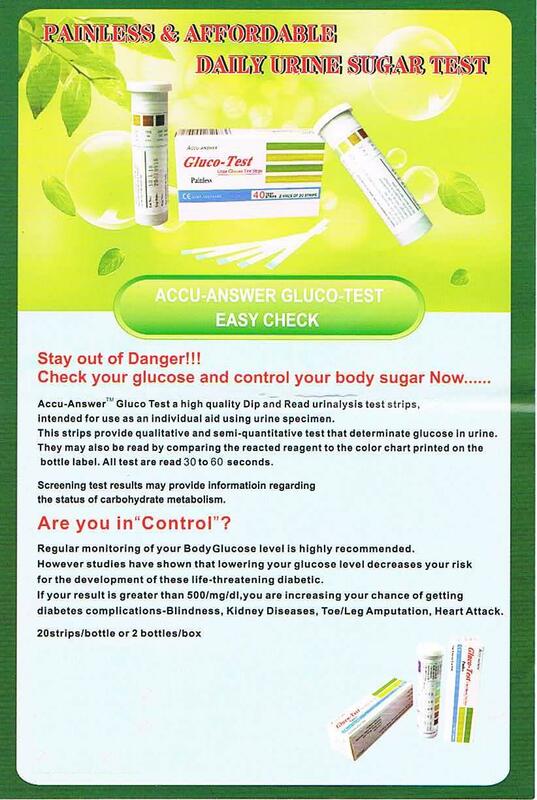 Have you tried checking your blood sugar with urine glucose test strips? How was it? Thought you might want to stop by and link this sugar free blog on the linky I put up today. 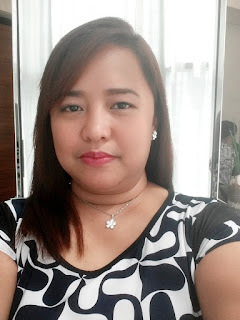 By the way, I am following this blog and Networked blogs. If you have a twitter account I am @CandidaJourney and will follow back.